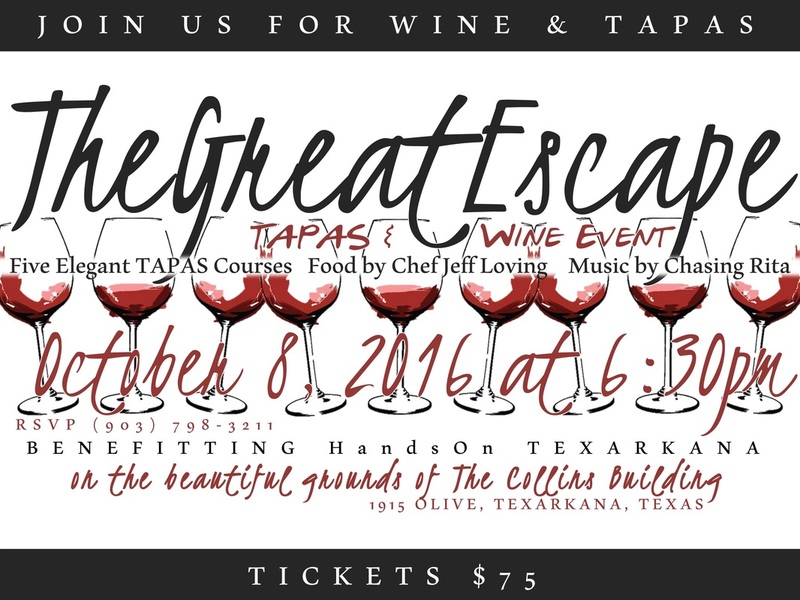 HandsOn Texarkana's annual Tapas and Wine Event takes place at 6:30 p.m. October 8, 2016 on the beautiful grounds of the Collins Home located at 1915 Olive St., Texarkana, Texas. 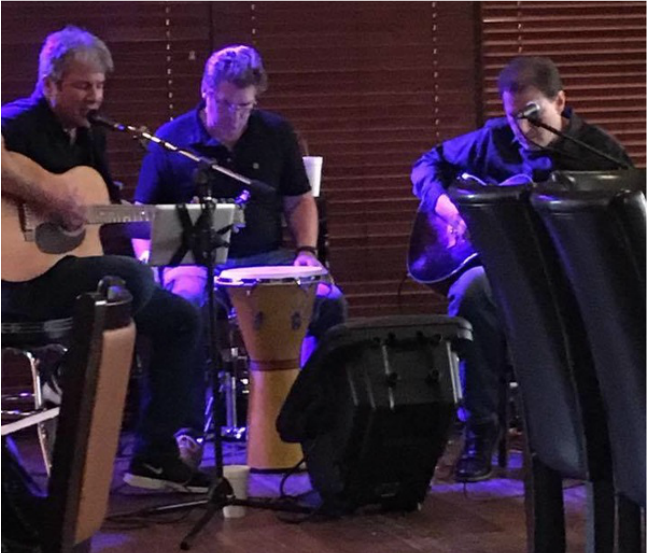 Live entertainment will feature the Chasing Rita band, five course tapas portions presented by Chef Jeff Loving of Twisted Fork Bar & Grill, wine pairing and a silent auction. Join us for a fulfilling evening in a friendly, casual environment. 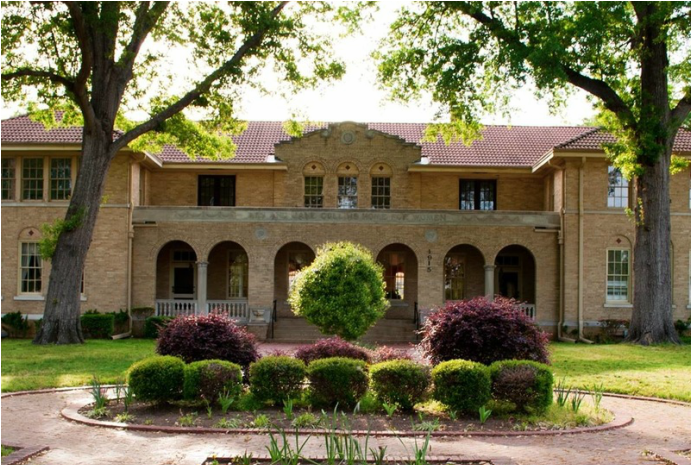 Proceeds from the event will benefit the programs of HandsOn Texarkana, which includes volunteer opportunity connections, parenting classes, senior transportation and a youth volunteer program.